I know, I know. It’s fall, and I’m supposed to be baking with pumpkin or apples, and instead I’m pretending it’s spring and making maple treats. 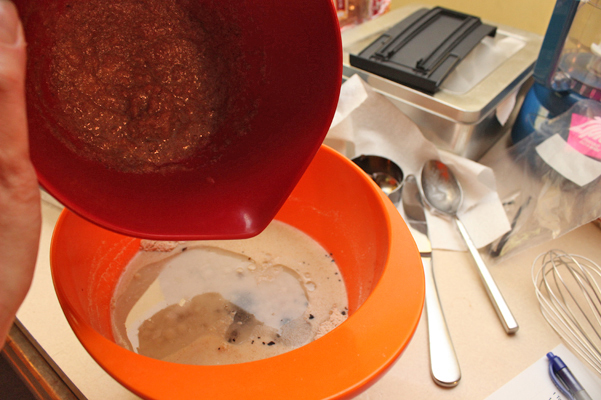 But I got lured in by the fact that this recipe called for non-standard ingredients like vanilla bean and coconut oil, and I already had both of them on hand; I’ve come a long way from the days when I had to check to see if I had baking powder before I made anything. Plus the photos on the blog where I found this recipe are inspiringly gorgeous, making the already delicious-sounding combination completely irresistible. Next I combined the applesauce and flax. It looked a little gelatinous. 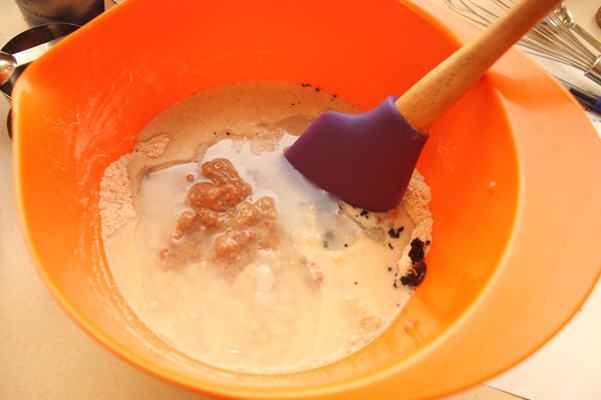 Up next, dry ingredients. 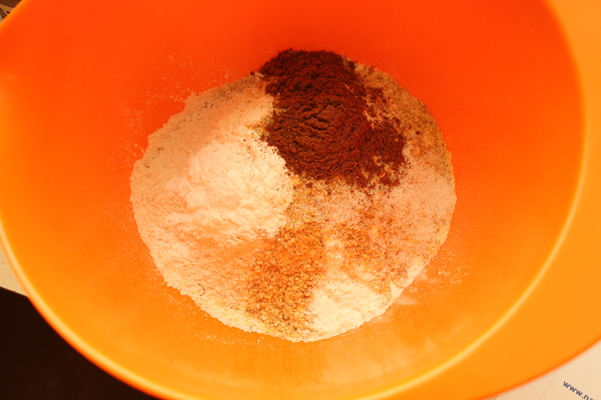 The recipe called for 1/2 cups of wheat flour. 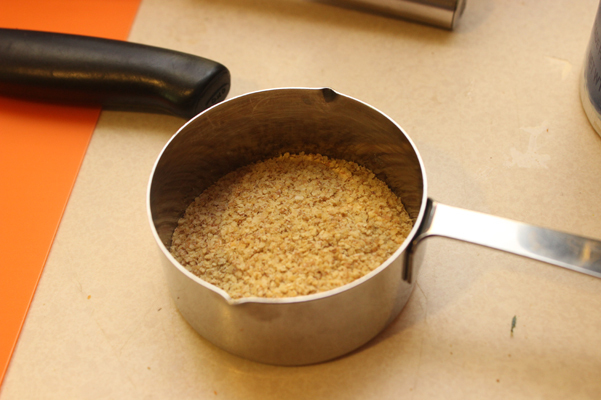 I used whole wheat white instead, and swapped out 1/3 of the full cup for wheat germ. For the half, I just poured some wheat germ into the bottom of the measuring cup and then filled the rest up with flour. It’s hard to describe precisely how much I used, so here’s a photo. I added coconut oil, maple syrup, milk, the vanilla bean seeds (but not the ones in my fingernails), and then tried to pour in the applesauce/flax mixture. As you can see, there is a definitive lack of pouring action here. 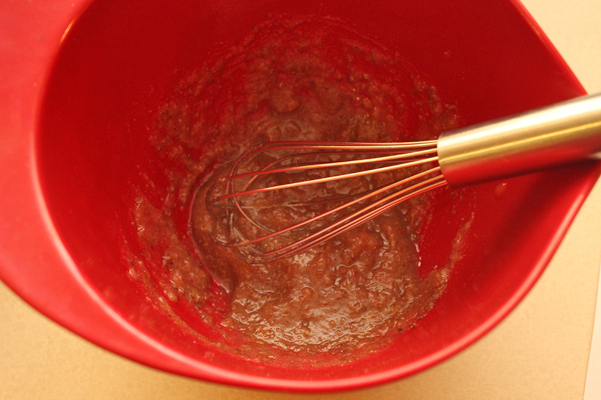 I grabbed a spatula, which made the glopping process, as well as subsequent mixing, a lot easier. 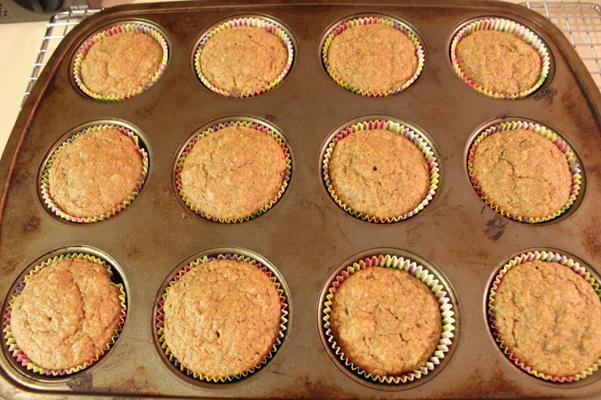 I scooped the batter into a muffin pan, trying to get them as full as I could. In 15 minutes, they were baked to perfection. I gave them another 5 minutes in the pan. I let them cool on the rack for a while after that but the smell was alluring, and that didn’t last long. 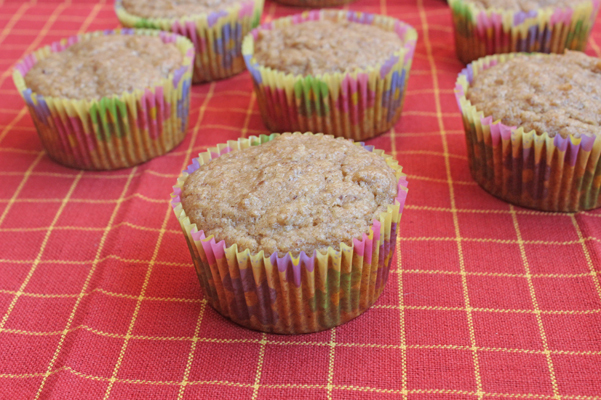 These muffins are crazy-sweet! 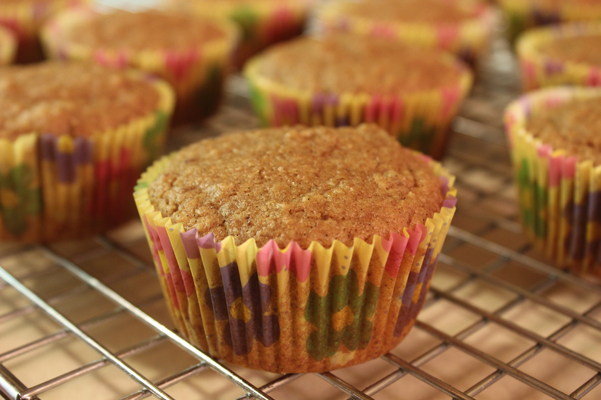 I didn’t overbake them at all, the texture was soft and fluffy like a good muffin should be. I thought the sweetness might be a bit much, but my family & co-workers gobbled them up quickly and insisted that they were wonderfully, delightfully sweet. I still think adding a bit of spice would take the edge off without compromising their unique maple-vanilla combination. . .maybe a pinch of allspice, or a decent amount of nutmeg. Something to explore. Regardless, these went more quickly than usual, and when I had a few different choices available, everyone dove for the maple-vanilla. 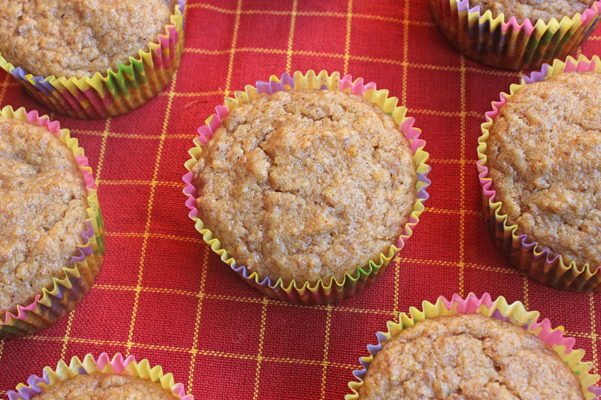 Since these were very spring-like muffins, and it was the end of September when I made them, we celebrated fall by going apple picking. 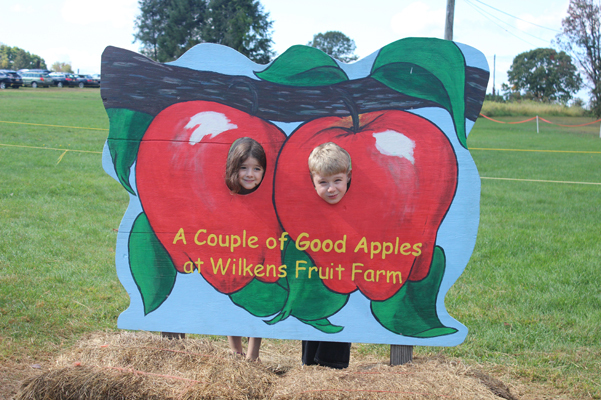 The apples were abundant, the weather was beautiful, and the seasons were restored, at least in my confused brain. 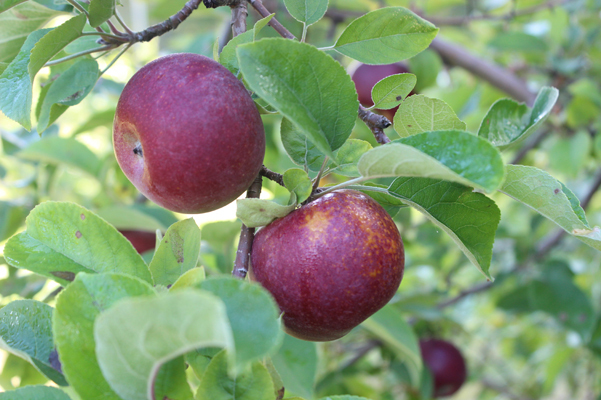 And I picked up some apple butter, to make seasonally-appropriate treats. 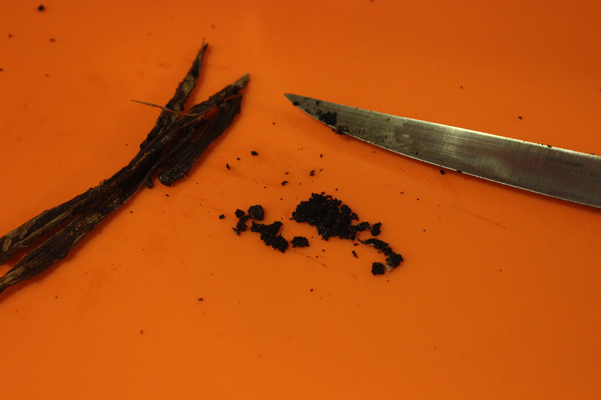 To prep, slice the vanilla bean open and scrape out the seats. 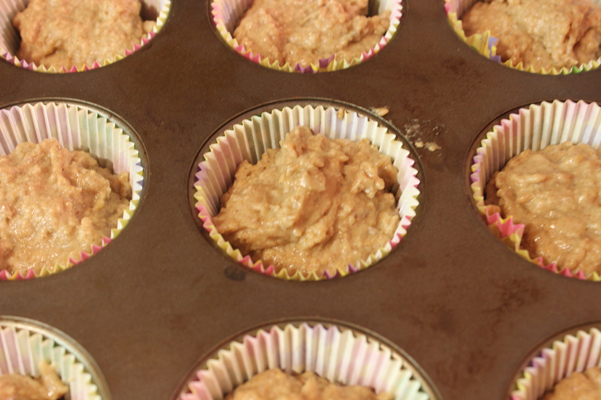 Grease or line a 12-cup muffin tin, and heat the oven to 400 degrees. You will reduce the temperature later. 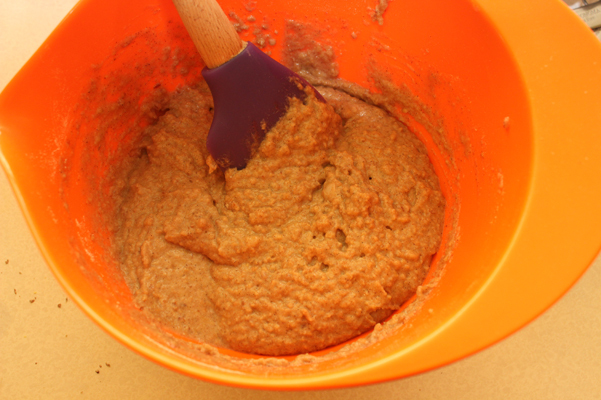 In a small bowl, mix the flax in with the applesauce. 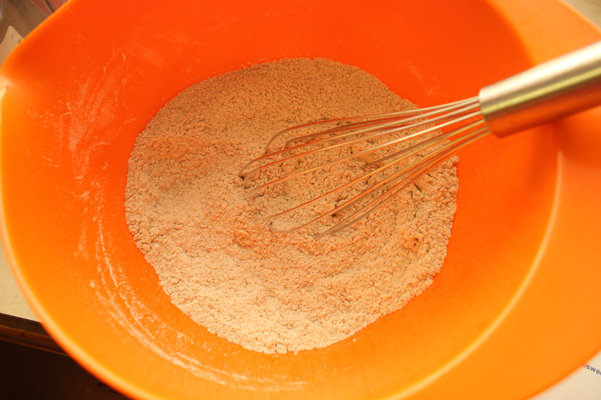 In a large bowl, whisk the flour together with wheat germ, baking powder, salt, and cinnamon. Make a well in the center. 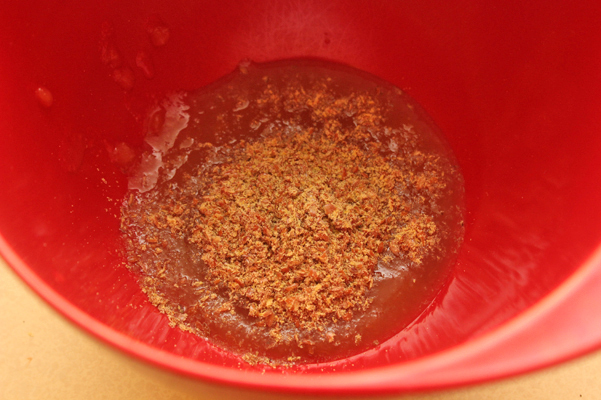 Pour the maple syrup, milk, coconut oil, vanilla, and vanilla seeds into the well along with the applesauce-flax mixture, and mix until just combined. 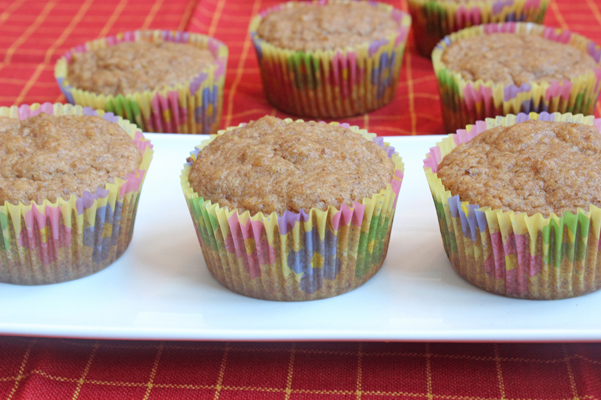 Scoop into muffins cups. Reduce the temperature to 375, then bake for 12-15 minutes. Let cool in the pan for another 5, then remove to a wire rack.